The product in makrana marble is a true piece of skilled craftsmanship.multi colored painting and kundans add lustre and grace to the piece. A royal touch is added with the use of gold painting. 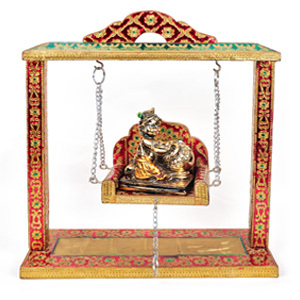 Three holders are placed on the piece; the bigger one can be used for water and the smaller one can be used for lighting diya and putting roli-chawal. 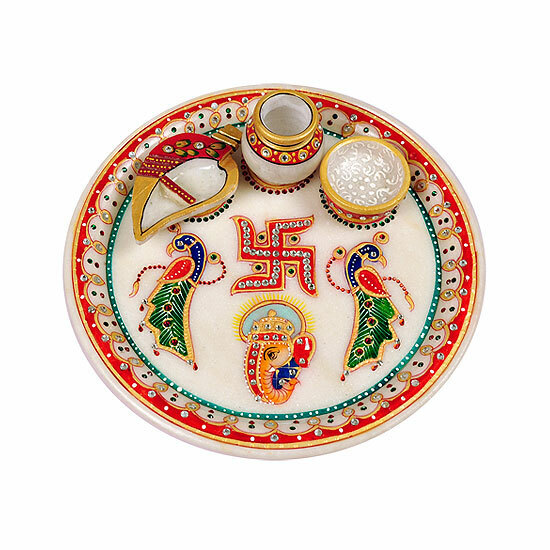 This piece holds a great religious significance as peacock, swastik and lord ganesha are painted on the thali. 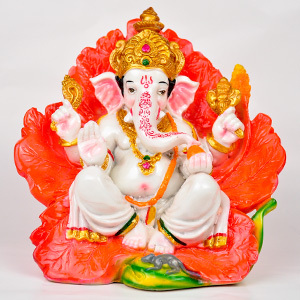 Each one of them are chained to the religious values; like Lord Ganesha is the Lord of wisdom and remover of obstacles. The swastik is the religious symbol and the peacock symbolise holiness and spirituality. 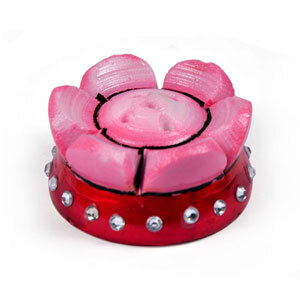 This product not only suit to the personal utility but also works as a wonderful gift to someone to further treasure. Skilled craftsmen form this piece of art , but there are possibilities for minor variations in colour and contour.